Day three I wore a white button up (see my trend here lol), black leatherette leggings, off-white belt, Balmain denim & shearling jacket (borrowed from hubby), with rose suede half d'Orsay, "Iriza" Louboutin pumps. I caught them on sale during the holiday for over 50% off! The day started with the Maybelline BFF Master Class co-taught by Desi Perkins & Katy, and needless to say, there were a lot of glow tips. Katy taught us her cupid’s bow highlighting tip on my friend Anna! The new Maybelline FaceStudio Master Chrome Metallic Highlighter is so bomb, I had to apply at least 3 layers of it on site. They were gifting away the new total temptation mascara so I grabbed one of those. I’m all about voluminous lashes, I apply at least 3 coats every time I apply and I have to say, I really like it! Next stop: A Detacher by Monika (Mona) Kowalska, a designer who incorporates a selection of desirable objects. I thought the designs flowed effortlessly. My fav was the big fluffy brown coat. It was a friends birthday, so afterwards we made our way over to this cute Mexican spot; Anejo in Hell's Kitchen to have all the margaritas and all the tacos we could eat. Today it rained on the way to see Lauren Stucky’s designs. I'm wearing a SAM. Tribeca Fur lined Jacket, and kept it simple with a white top, black leggings, and zebra yeezys. Just moments after I arrived at the location two photographers showed up anxiously attempting to access the show to prepare for shooting. We chatted in line as they expressed how they needed to shoot this show and race over to another one so when they rushed forward to the front of the line I pulled out my Sony Camera and walked along as if I were one of them. Once the show started, I realize it was more of a presentation than an actual show which I thought was cool because I could spend more time appreciating the pieces. Those poor models were standing there for over an hour holding their poses with a poker face the entire time. There was champagne served as we all admired the designs in a dark lit room with purple lights. Lauren Stucky's designs were edgy with an element of asymmetry. My favorite was the layering of the one shoulder top with the kimono style silk shirt underneath. I’m really feeling layering these days, how do you feel about it? It was time to grab food so I headed over for late lunch at Terra. I ordered the lentil soup and a glass of Cabernet. But, then I took it way too far and added crab cakes and sauteed spinach. I wasn’t mad at it, I had plenty left over to later! Next up for the day was Negris Lebrum. His designs were centered around black to basic. My fav was the sequin hoodie, I need that in my life! Later that evening my friend and sister went to Beauty & Essex, if you haven’t been you’re missing out and when you go you’re in for a treat. We made friends with the bartender, always a good idea, and both bartenders to be exact. There’s one in the ladies room handing out Rose with lounge chairs and a whole instagram scene capturing the moment. I thought it was the coolest thing ever, and way to take restroom attending to a whole other level! 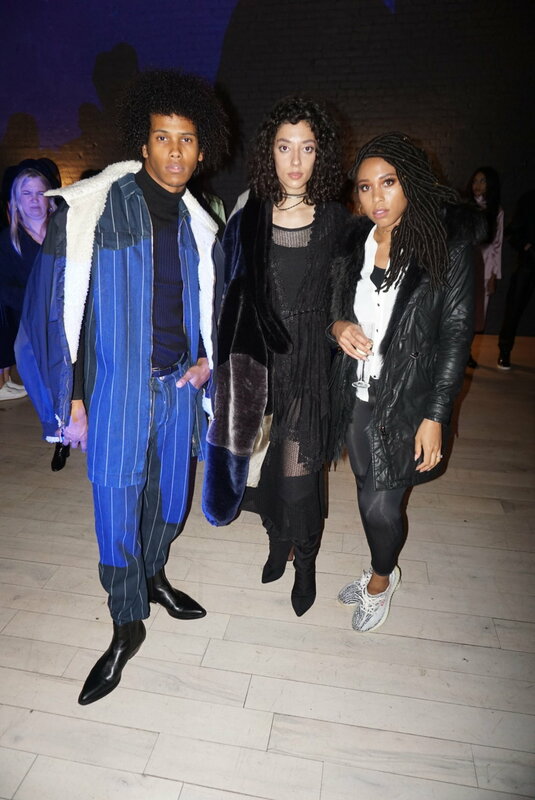 I met up with friends at the Real Real pop up in SoHo. They gave us lunch and captured a few moments of us in the store. Afterwards we decided to have an impromptu photoshoot! Gotta do it for the gram! Just before our next event, my sister and I hung out with @StayReddy & @MsChurchdress at her lovely suite at the Dominic Hotel. The views are amazing and so were the rooms! I would definitely recommend checking them out. 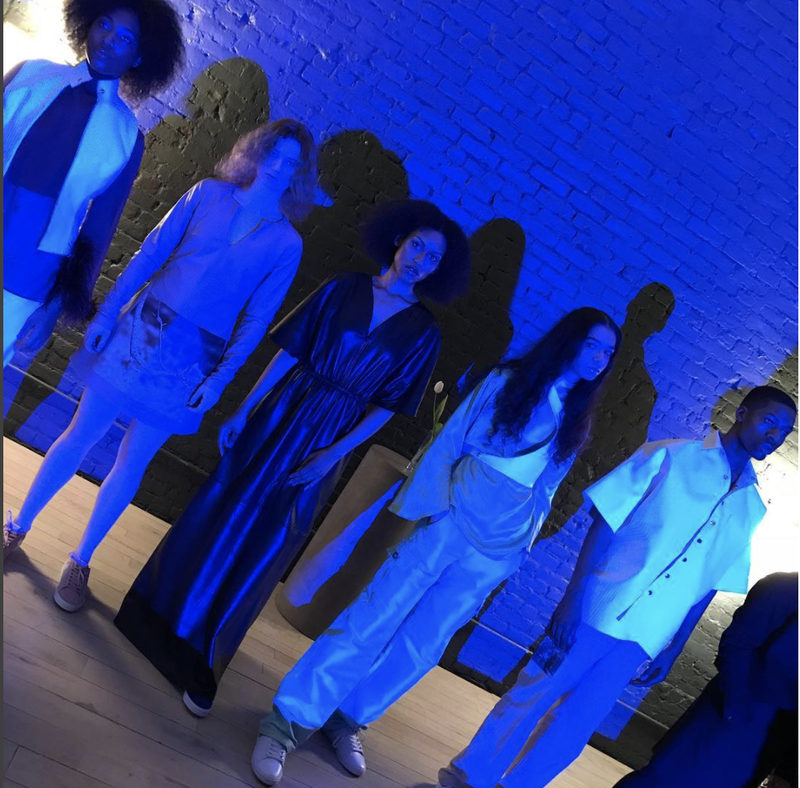 We then headed over to The Dreamy Soiree hosted by Dreamer & Doers a community I've been a part of for several months now that consist of like-minded trailblazing women. The event was held at the Assemblage, a co-working and living space for those exploring the evolution of humanity through positive impact. 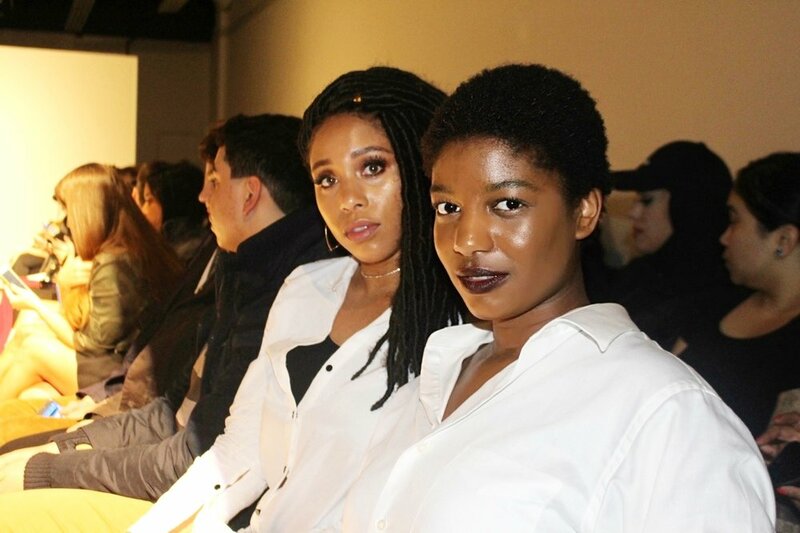 We listened to the stories of three incredible women as they chatted about their path to where they are today and how they seek passion after in their careers. The upstairs bit of this place was magical with an elixir bar a menu full of non alcoholic concoctions. There were so many enticing options, I landed on “The Spirit” because I was feeling it! It’s supposed to yield calming and meditative vibes. 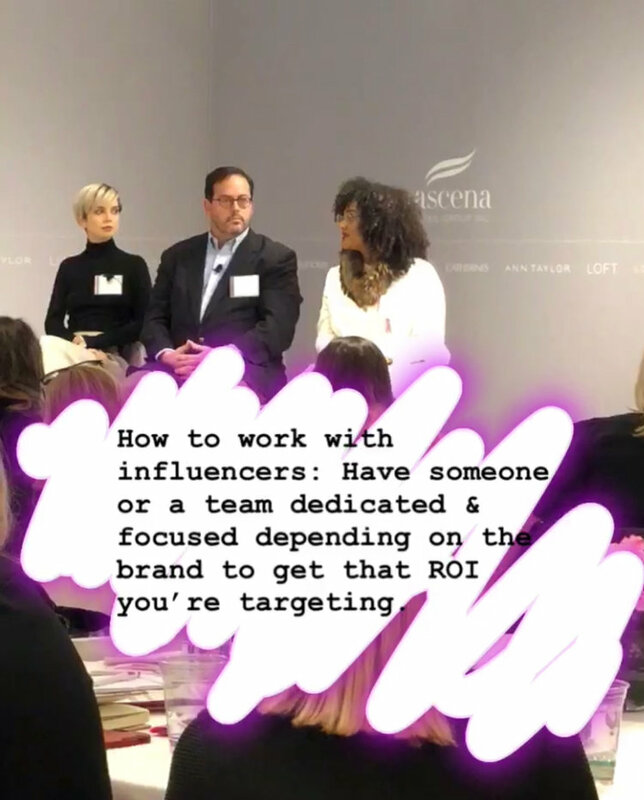 And, I'm always looking to learn industry best practices so, just before heading to the airport, my sister and I went to a talk about how brands can best work with influencers. It was interesting to discuss engagement and ROI alongside new and established companies - got the inside scoop! Join facebook and community groups, you never know who might give away their seat at a show because they can't make it. When you think you have enough outfits, pack just one more! Thanks so much for coming along on this journey with me. I will be going to the next one in the fall more equipped than ever.